HTC’s One M8 is among the best flagships of the year, but the price set for this device is a bit above most people’s budgets. Even though you can get a considerable price-cut by opting for purchase with a contract, that’s not the preferable option. 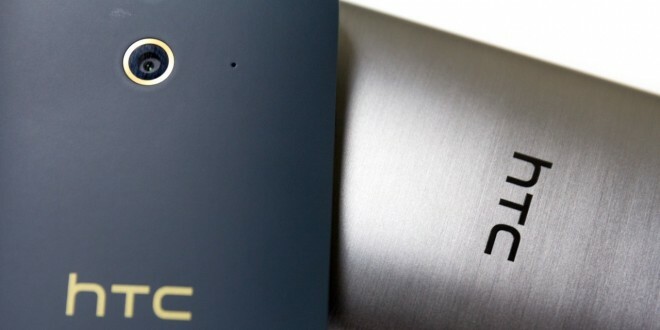 HTC has thought of that and has released the HTC One E8 in June. 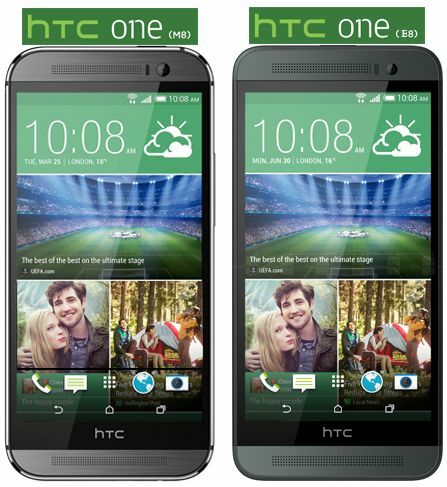 The HTC One E8 is the cheaper version of the HTC One M8, with just a few differences compared to the flagship. While the One M8 is the favorite of many, the E8 doesn’t disappoint either, especially since its almost identical to the One M8. In the search for the perfect smartphone to help you out in life, you need to think of every feature and spec you would want in the phone you end up with, before deciding to buy one. If you’re up to paying a hefty price and are willing to wait a bit, you might just get the Galaxy Note 4 or Sony Xperia Z3. If you are on a budget, the E8 should definitely be your choice because it’s more or less the twin brother of the One M8, for $500. While the M8 will set you back a considerable $700 in most regions, it does have quite a few advantages compared to the One E8. First off, and most importantly, the design of the One M8 surpasses that of the E8 with its aluminium build. Albeit the two phones look the same, the One E8 has a polycarbonate body, which reveals why it’s the cheaper HTC device. Compared to the HTC One M8 which has an appealing steel finish and a solid body which shout quality when sitting in your hand, the One E8 feels rather hollow and light (it actually is lighter). But the HTC One E8 still stands out in the general crowd, because as I’ve mentioned earlier, the E8 looks close to identical to the One M8, if you look at it from the front. Except from the power button being moved from the top right on the M8 to the centre of the top edge on the E8, you can barely tell the difference. If you look at the HTC flagships’ screens, you can’t see the difference, right? That’s because there isn’t one. Both HTC One M8 and HTC One E8 have a 5 inch Super LCD3 display with 1080*1920 resolution, 441 ppi. 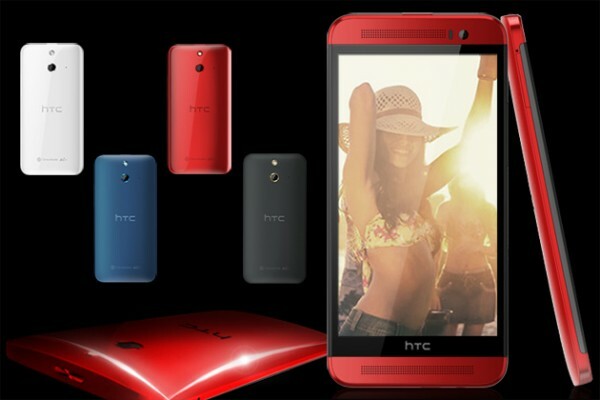 HTC has thought the E8 out good, because specs-wise, you get the same phone, just repackaged. If you’re not bothered by a plastic chassis and are not looking for that phone that looks just premium enough without having to pay a fortune for a Vertu Signature Touch, the One E8 is for you. HTC has put the same 2600 mAH batteries in both the flagships, so their battery lives should be about the same. A 2.3GHz quad-core Snapdragon 801 processor and 2GB of RAM power the One M8 and the E8, offering the same performance levels. 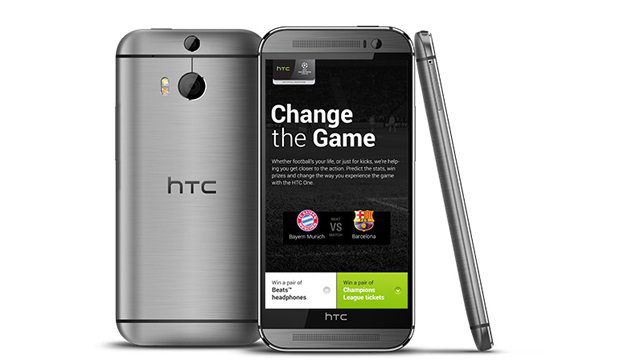 Android 4.4.4 Kitkat runs both phones with HTC’s Sense 6 overlaid. But you can get the One M8 Windows edition, while the E8 doesn’t have one running on Microsoft’s OS. So far, battery and general specs have been the same. But are the cameras? That’s not easy to decide either, because once again, HTC has thought this out well. Even though the One M8 was intended to be the best selling flagship of the year, it might just share that spot with it’s cheaper twin brother, the HTC E8. But, no, the E8 doesn’t have the same camera as the M8’s Ultrapixel 4 MP Duo Camera which can judge depth and offers post-shot focusing and blurring. The One E8 doesn’t fall far behind the M8 with its 13 MP shooter, though. But there still remains a questionable feature which makes the E8 just as desirable as the M8. The E8 will be able to take more detailed photos but won’t handle low-light conditions nearly as well as the One M8 does. That’s why the E8 will sell in the long run: it’s a matter of preference, if you think about it. If you plan on enjoying all the HTC One M8 camera features to the max, and would use them a lot in low-light conditions, it’s definitely your best shot. But if you’re not that much of a photography enthusiast, the 13 MP camera will do just fine. When it comes to connectivity, it’s all the same, except for the lack of an infrared that allows remote control present on the M8 and missing from the E8. The One M8 is available in two storage versions, a 16 GB one and a 32 GB one, whilst the E8 has only 16 GB available. Both phones have a microSD slot, though, so lack of memory should not be a problem on either flagship. Once again, as with most comparisons I’ve tried my hand at, it comes to a tie between the HTC One M8 and HTC One E8. But that’s viewing it from a price-oriented viewpoint. The One M8 is superior to the One E8 in many fields and is definitely worth its price, but if you are shopping for something that gives you all you need, except for that premium feel, the E8 is a better choice than most smartphones in its price-range. You also need to remember that the HTC is right up there in line with Samsung’s Galaxy S5, LG’s LG G3, Moto X+1 and the like. Definitely a smartphone well worth the money. It’s up to you. Are you unwilling to save up $200 for a premium HTC One M8 or will you settle for the One E8, the one you’ve got the cash for?